Where should I install EDT? You will be surprised by the possibilities! FormSnips.com runs on a secure server and is a free online service run by Lean Software Ltd in the UK. You may however prefer to run FormSnips on your company's intranet for complete control and ultimate security. FormSnips can considerably improve efficiency in the workplace and with system integration will no doubt save a good deal of time and improve accuracy for your workforce. Subscription licence including all future upgrades plus online support. You can cancel your subscription at any time you wish and run with your current licenced version without restriction or further cost. There are some very beneficial developments scheduled for FormSnips so we hope you stay with us! You will receive a download email plus installation guide to quickly get up and running with FormSnips. Your Invoice will be dispatched separately after your Purchase completes. Prefer the traditional Purchase Order / Invoice route ? 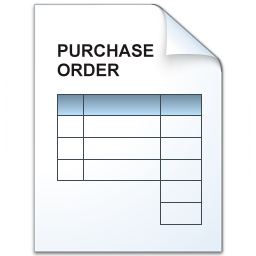 Send us your Purchase Order for processing and you will receive your invoice by return. Your download link will be sent as soon as we have receiced payment. Our experienced team have been operating since 2010, and have worked with clients such as Nissan, Invesco and the NHS. We equally support small firms and many companies worldwide, providing excellent support to all of our clients.